Upon the discovery of the heart of the historic centre of Genoa, amongst its sumptuous buildings and flavours. Taking a scenic route on the motorway along the coast of Riviera di Ponente, we will arrive in Genoa, glimpses of the sea and the Mediterranean scrubland included. Skimming the port, we will admire Lanterna, which has always been a point of reference for seafarers, and we will continue, by coach, upon the discovery of the most interesting places within the city until we get to Castelletto, one of the oldest and aristocratic in Genoa which stands on the headland overlooking the historic centre. From here one of the city's historic lifts will take us to the very centre, to the alleyways which Rubens described as "Europe's most beautiful roads": Via Garibaldi, better known as Strada Nuova. This pedestrian area includes some of Genoa's most sumptuous squares, built in the 1500s as residences for the most important noble families and which were restored to their original splendour for the occasion of "Genoa 2004". At this stage, we will visit the Palazzo Bianco and Palazzo Imperiale (exclusive entry for Costa Cruises) followed by a delicious tasting session. 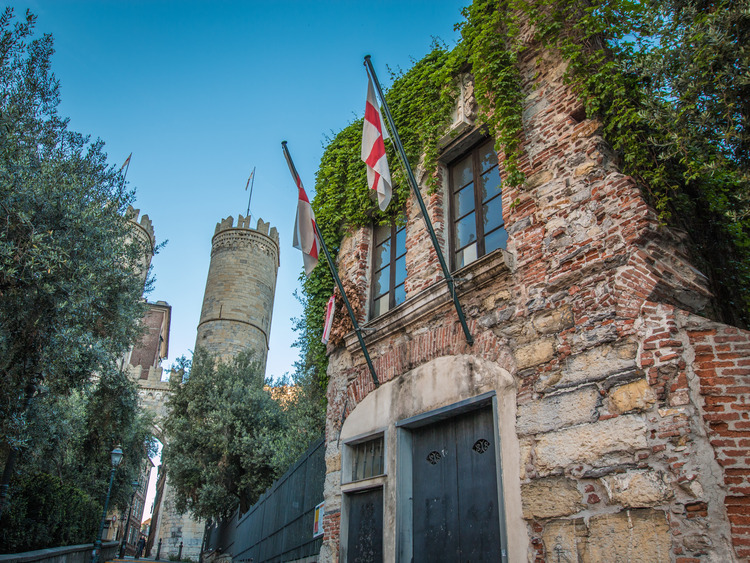 From this elegant alleyway, we will go onto a part of the city which historically connected it to the sea, passing by Porta Soprana, the House of Columbus, Via San Lorenzo, the Ducal Palace and the Ancient Port. During the free time available until the end of the tour, we can trace the ancient and characteristic Porticoes of Sotto Ripa. The transfer to Genoa takes approximately 1 hour.